Sony has a plethora of exclusive games releasing for the PS4 this year, but no other game is more important to Sony than Horizon Zero Dawn. The graphics of Horizon Zero Dawn are amazing, and the released gameplay videos support the notion that the world is jam-packed with thrilling bow & spear combat and a mesmerizing storyline. However, it wasn’t that long ago that Sony was promoting another exclusive game non-stop, The Order: 1886, which also had amazing graphics and while its gameplay was questioned, it was still anticipated by many to be a fantastic game. Sony thought they had found their “must-buy” PS4-exclusive IP with The Order:1886, but that turned out poorly for them. Even though creator Ready At Dawn, still wants to develop a sequel to redeem themselves, Sony owns the IP and has given no interest in the development of another installment of the game. The recent blunder of No Mans Sky has only added to the anxiety of many who are awaiting Horizon Zero Dawn’s release. No Mans Sky hoodwinked the entire gaming community; not even the best of critics could have seen the horrific free fall of No Man’s Sky and the games’ developers. Sony and their gamers are waiting for the next “must-buy” IP (AKA the next Uncharted) to take their exclusive game appeal to the next level. Hopefully, Horizon Zero Dawn can be a hallmark IP for Sony, but there are some worries. Guerilla Games is coming off a disappointing start on the PS4, with Killzone: Shadowfall falling short of Killzone fans expectations. Also, Guerilla Games has been exclusively known for the Killzone series, and this will be their first time venturing into new gaming territory. It is a bit surprising that Sony has invested so much time and money into a new IP by a studio that has only been known for one game series. Guerilla Games is certainly capable of creating an amazing game, but Horizon Zero Dawn is unlike any game that has come before it, which could easily make it a legend…or a bust. Sony has invested an abundance of money on the promotion of the game, it seems like everyday some news regarding Horizon Zero Dawn is released. If Horizon Zero Dawn failed, Sony would hurt financially due to the high advertisement costs and the low sales income. There is a gap in time between the release of Horizon Zero Dawn and the release of the other anticipated PS4 exclusive games, such as Crash Bandicoot and Uncharted: Lost Legacy. 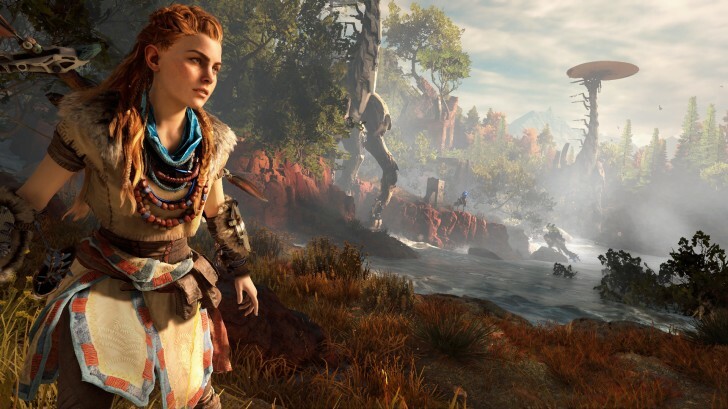 The gap in time means that if Horizon Zero Dawn is not a huge success, as many anticipate, many gamers will be given the excuse to focus playing games on other consoles instead. Fortunately, Microsoft will only be releasing a limited amount of exclusive games this year, and it will also be headlined by a new IP Sea of Thieves. The February release of Horizon Zero Dawn will set the tone for the rest of the year for Sony, if Horizon Zero Dawn flops, Sony will likely be in full-on panic mode leading up to E3. It is a battle of exclusives this year for gaming, Sony has Horizon Zero Dawn, Microsoft has Sea of Thieves, and Nintendo has Super Mario Odyssey & Zelda. Sony is primed to win the competition this year, all it needs is a good start from its most anticipated game Horizon Zero Dawn. This article has no merit. Sure it would be nice for Sony if the game is a success, but to say they need for it to be a success is baseless. Even with a The Order and No Man’s Sky floppping critically the PS4 is still the fastest selling console of all-time. Seriously though this article is nonsense. Sony has plenty of other quality exclusives and is so far ahead of XB1 in that category that it’s not much of a race right now. Horizon could totally flop and they’d still be miles ahead. It’s more icing on the cake if it’s a success. A far more accurate article would be to say that XB1 desperately needs Sea of Thieves to be a hit, or that Nintendo needs Zelda on Switch to be a hit. XB1 would be fully in irrelevant mode if Sea of Thieves is a flop after their short exclusives list, cancellations, and recent disappointments with Quantum Break, Recore, Halo 5, and even Gears 4. Cuphead has been eternally delayed. It’s telling that they are resorting to pushing Halo Wars 2 as hard as they are, like an Xbox Arcade game is a AAA title.